With virtually everything become increasingly digitised, more of us are striving for a paperless life. We still however, manage to produce a staggering amount of paper waste, with the UK alone using 12.5 million tonnes of paper and cardboard each year. 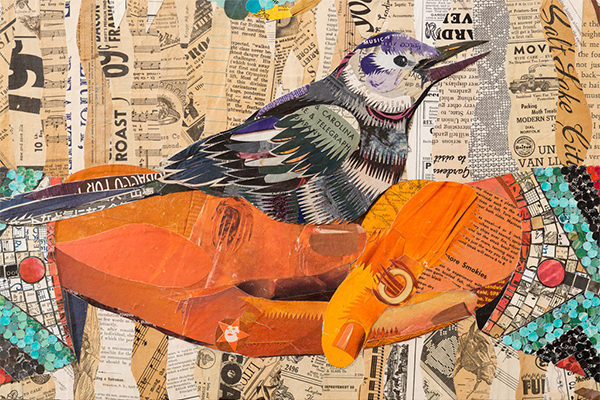 Creative reuse of this paper waste – the ephemera of everyday life, has been a source of inspiration for artists ever since Braque and Picasso established the collage technique at the turn of the century. 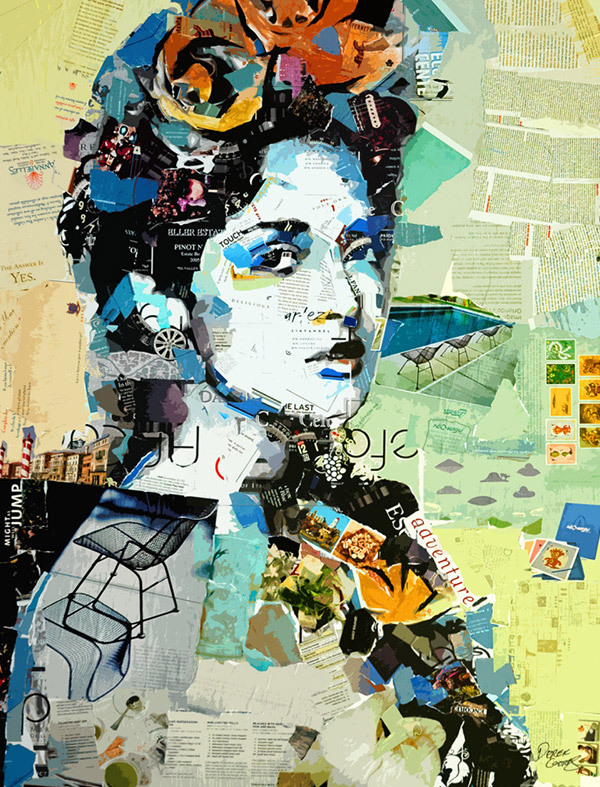 Whether through the assemblage of original recycled and vintage papers or through digital manipulation, this post is a celebration of today’s talented contemporary collage artists. 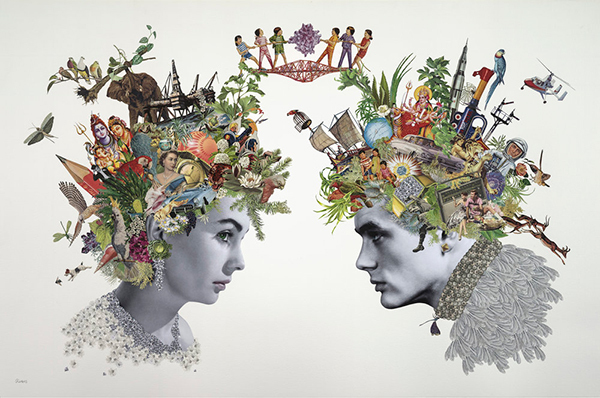 Maria Rivans is a collage artist living and working in Brighton, UK. Her surreal landscapes and portraits are inspired by philosophical teachings and references to Hitchcock, sci-fi and vintage Hollywood films watched as a child. 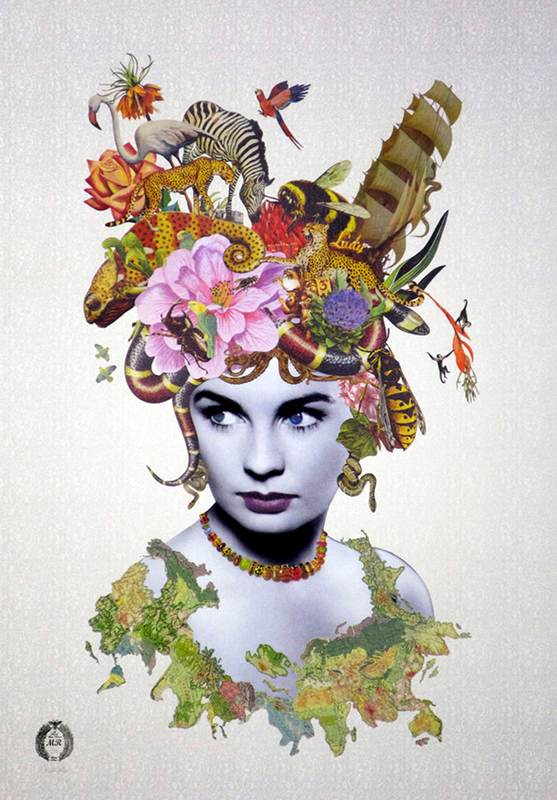 In Lady Valentina above, Jean Simmons is altered with found imagery scavenged from different eras, forming part of Rivans’ series of Pin-Ups. 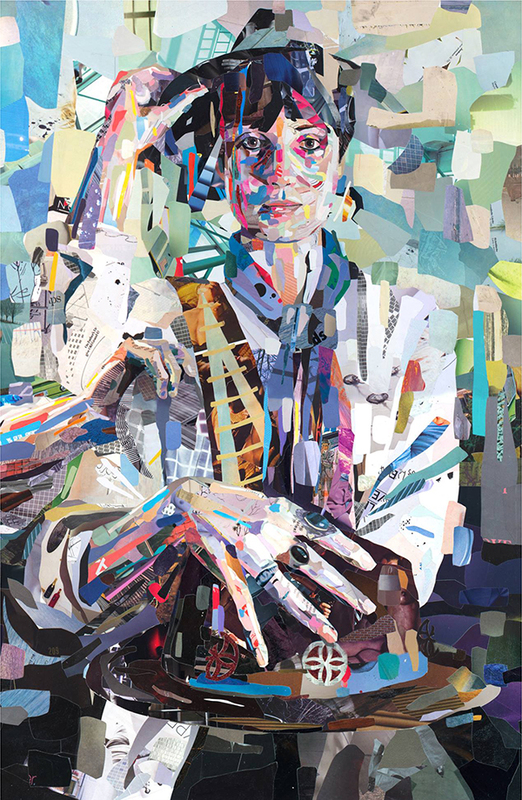 Derek Gores from Florida is a successful commercial designer and illustrator, renowned for his collage portraits made from recycled magazines, labels and found materials. Influenced by Gustav Klimt, Egon Schiele and Max Ernst, he says he isn’t interested in heavy concepts. Some of the papers used have relevance to the image, others don’t. Pictured above Salma and Frida. 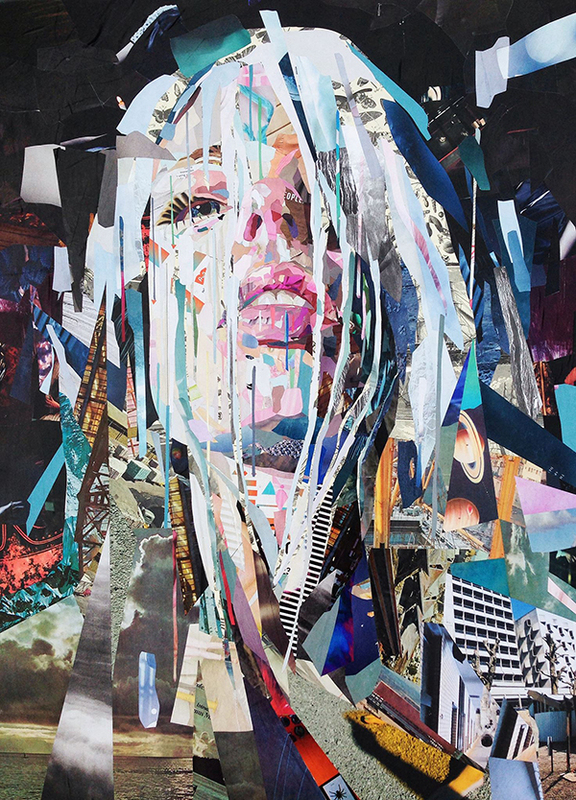 Award-winning British artist Patrick Bremer studied painting at Wimbledon School of Art. 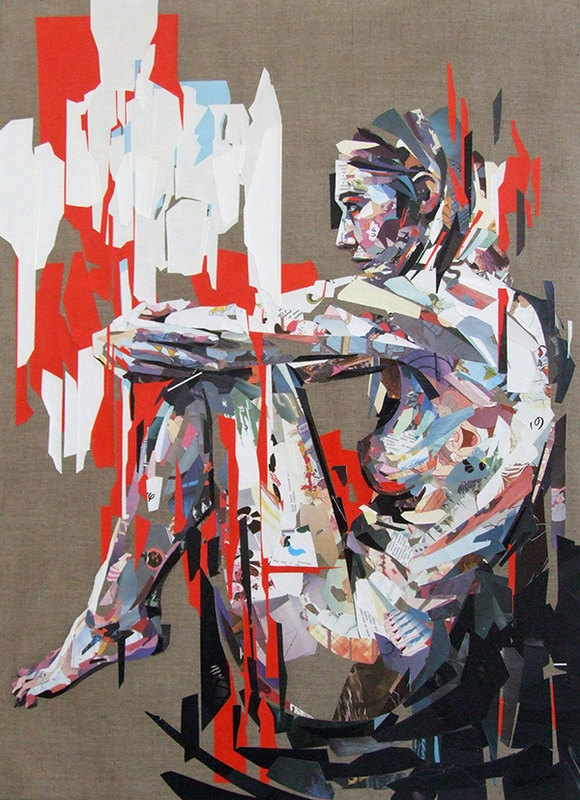 Drawing inspiration from figurative artists such as Lucien Freud, Euan Uglow, Francis Bacon and Jenny Saville, his large scale painted portraiture earned him the De Laszlo Foundation award from The Royal Society of Portrait Painters in 2007. Through circumstance, Patrick began experimenting with collage during the winter months when his studio became too cold to work in. He wanted to find a way of working at home without getting paint all over the house. After chopping up an old pile of magazines he initially created a collage portrait of his nephew, George and soon discovered he’d found a successful new medium. 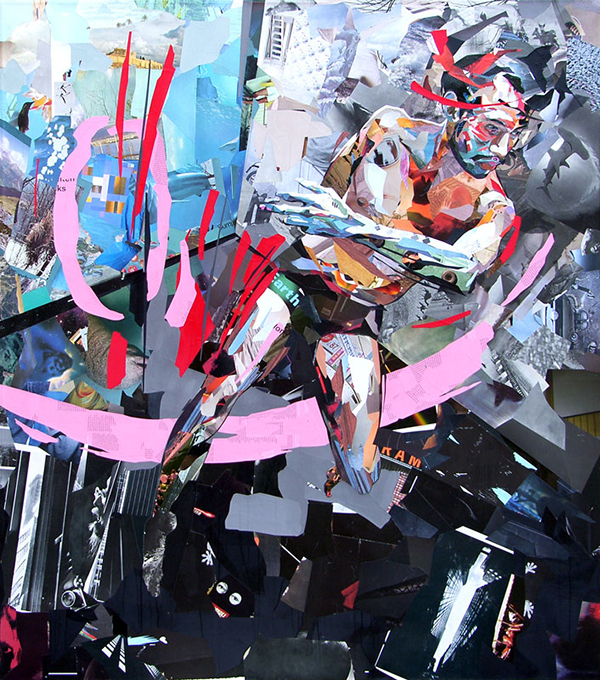 Now working from Berlin, Patrick’s work has also produced work for Google and The New Yorker. Pictured above Halea II – cut paper on linen. 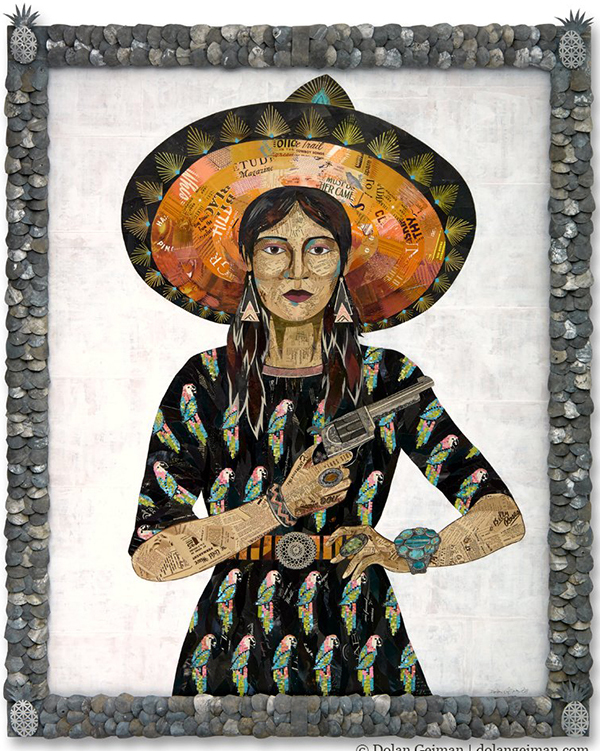 Originally from Shenandoah Valley, Virginia, Dolan Geiman, is an artist who spends a large part of his time on the road selling his artwork across the USA. 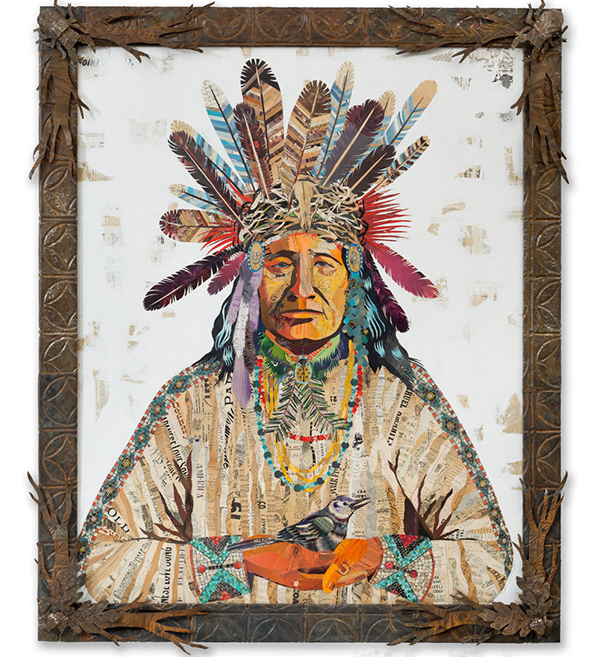 Describing his work as contemporary art with a southern accent, his collage, mixed media and assemblage constructions are handcrafted from a vast array of materials which he has salvaged and collected since he was a child. 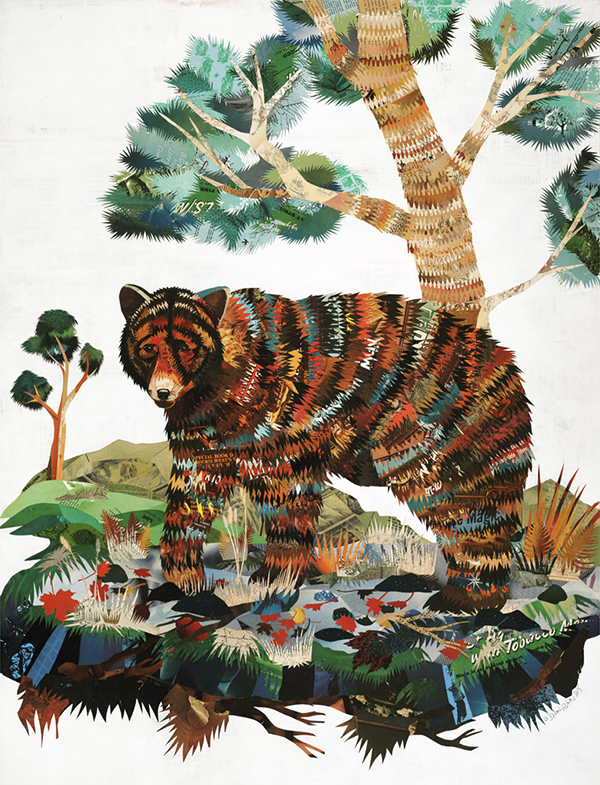 Portraits of American icons and animals are crafted from tiny pieces of hand cut vintage paper, sometimes in their thousands. 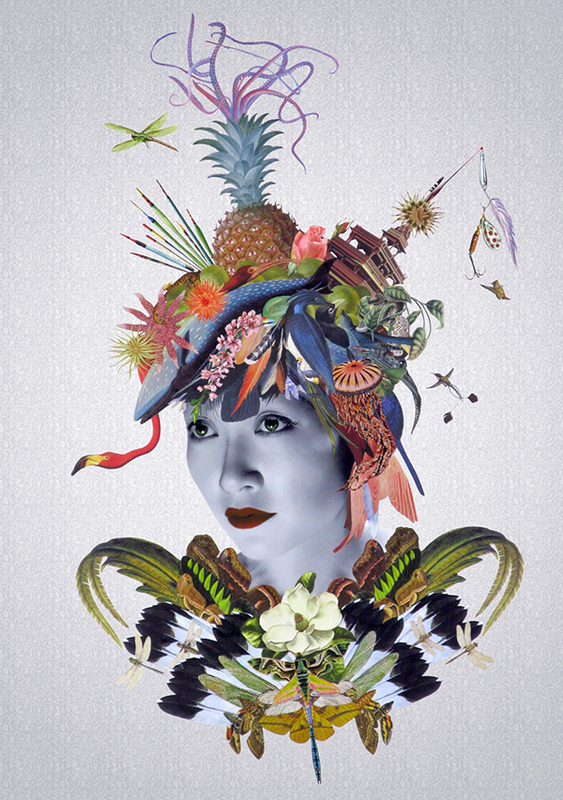 Pictured above Father Nature (Pheasant) paper collage art. The idea of upcycling money throws out plenty of questions surrounding our concept of ‘value’. On a physical level a banknote is just a piece of paper, what a banknote represents is central to the work of Justine Smith. 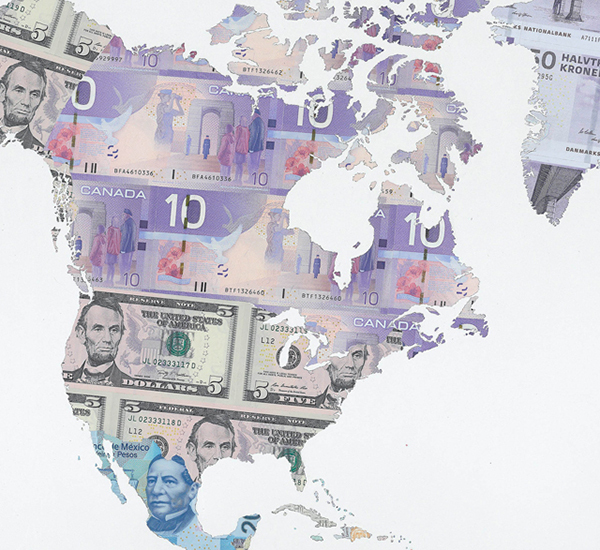 Intrigued by ‘money as a conduit of power and the value systems with which we surround it’, Justine’s art explores the concept of money and how it touches almost every aspect of our lives. 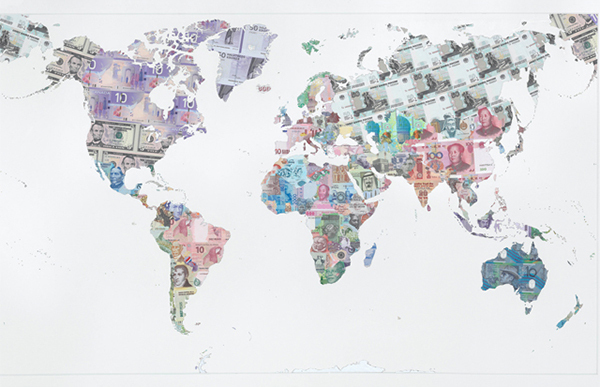 Pictured above, detail of Money Map of the World (2013) – banknotes on paper. 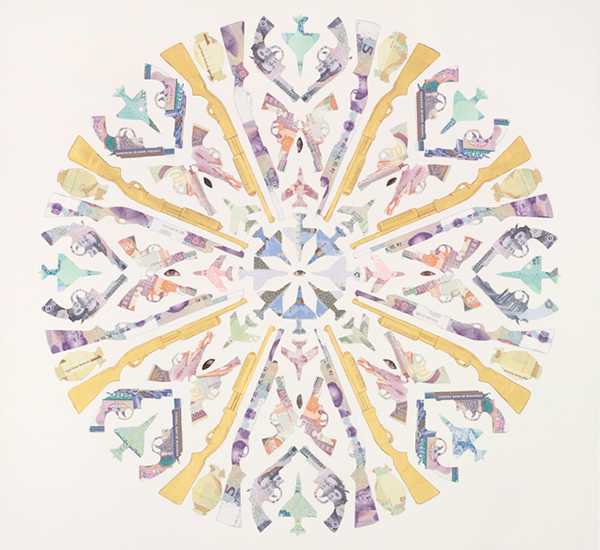 Justine’s collages, prints and sculptures made of banknotes examine our relationship with money in a political, moral and social sense, whilst also exploiting the physical beauty of the notes. Pictured above Death Star Remington Purple Mao (2011) – International bank notes, gold and acrylic on gesso panel. Afghani, Chinese, Libyan, Myanmar, North Korea, Pakistani, Somali and Sudanese currencies.